Pokemon X&Y: Gourgeist. 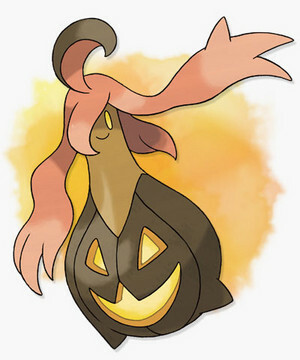 Gourgeist evolves from Pumpkaboo, and just as with Pumpkaboo, there are different sizes of Gourgeist. A large Pumpkaboo evolves into a large Gourgeist, and a small Pumpkaboo evolves into a small Gourgeist.. Wallpaper and background images in the Pokémon club tagged: photo pokemon x y.